Hi I'm jim this is the first class I've watched and participated in. I usually do construction on and of sets. I fell july of 2014 an suffered a brain injury. I became attracted to this website in hopes of having a plan B if I'm told I can't go back to building sets. And if not that's fine to. But I feel I have a talent I never knew I had. 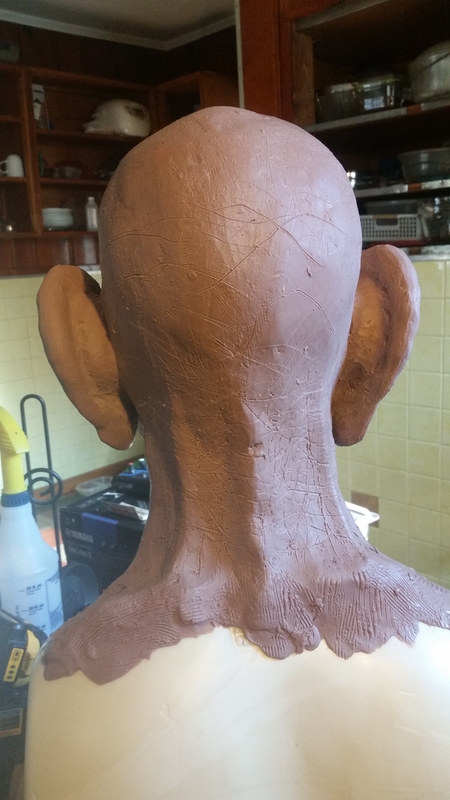 Just from sculpting about 10 2" heads 1 Armature and 1 character makeup. Your sculpt is looking great! 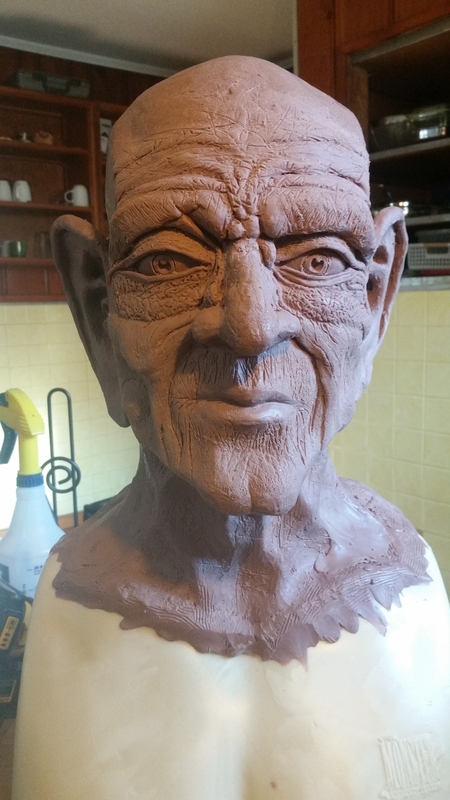 I'm not a skilled enough sculptor to offer much critique, but it looks like you are off to a fantastic start. Should it be realistic? Or have you planned to make it funny? 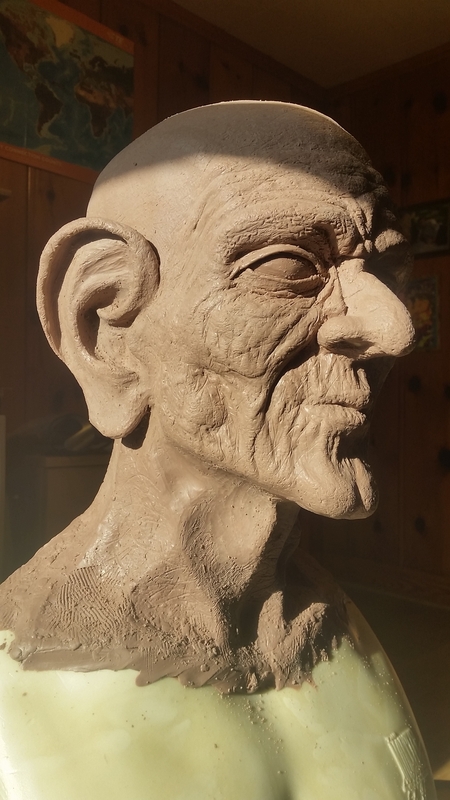 Like a real version of the old stroy teller from the creepshow comic's. 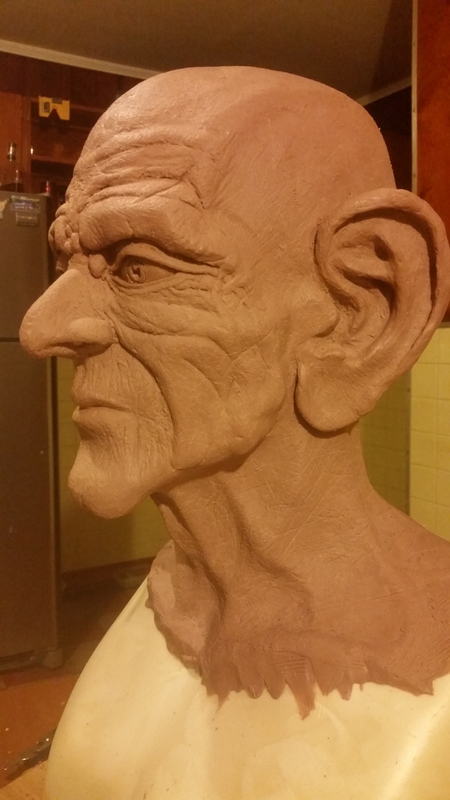 It was a character makeup class but it's my first time sculpting something this size. 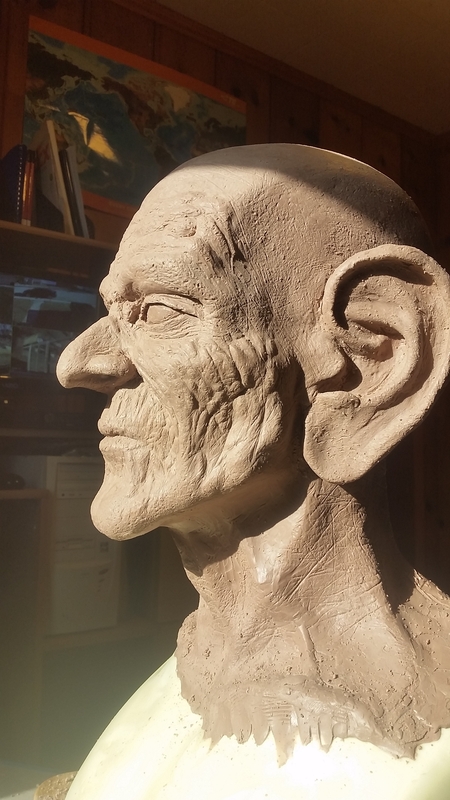 I wanna get into speed sculpting in hopes of having a future in anything to do with the film business. I did build the sets bet. Now I'm hoping if I had the opportunity to try I'd have the confidence to say ok why not. I watch classes at SWSCA since march that Year. 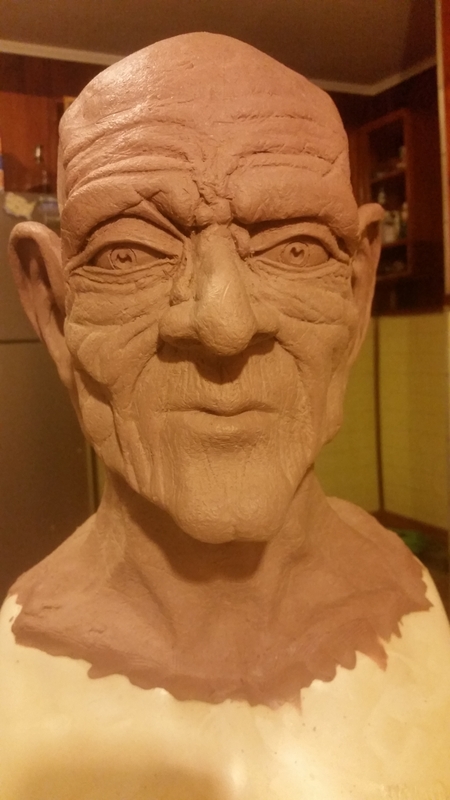 I am sculpting for some months now. 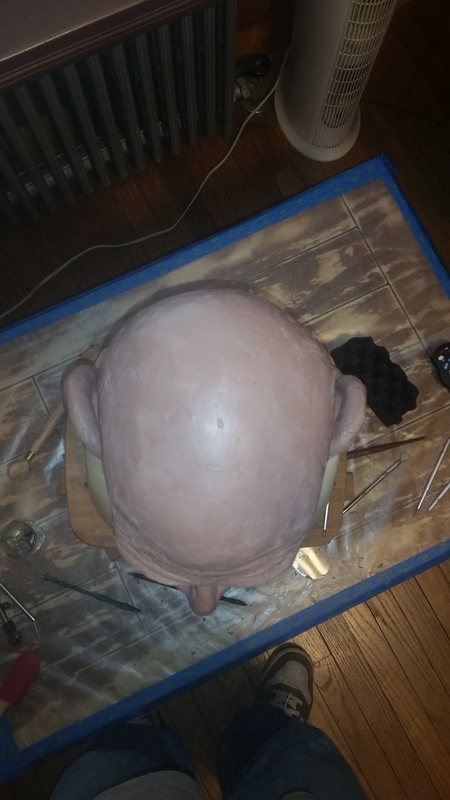 I think there are a lot of very good areas, which you have sculpted. 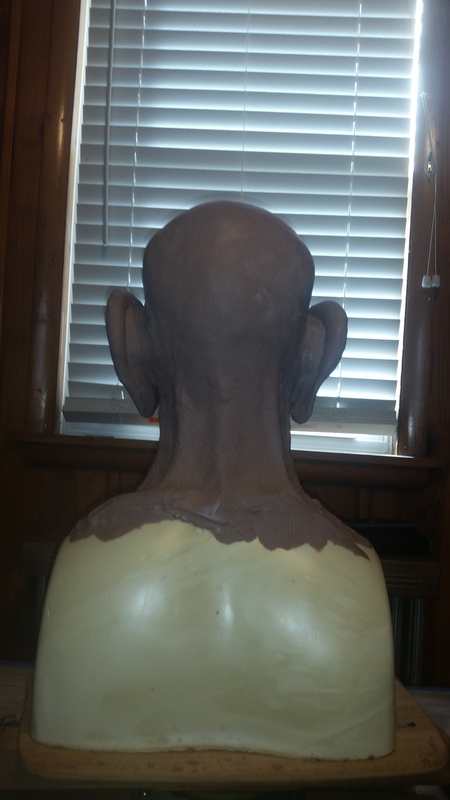 But some of them are bursted down with wrong proportions or too straight/ wrong directioned wrinkles. 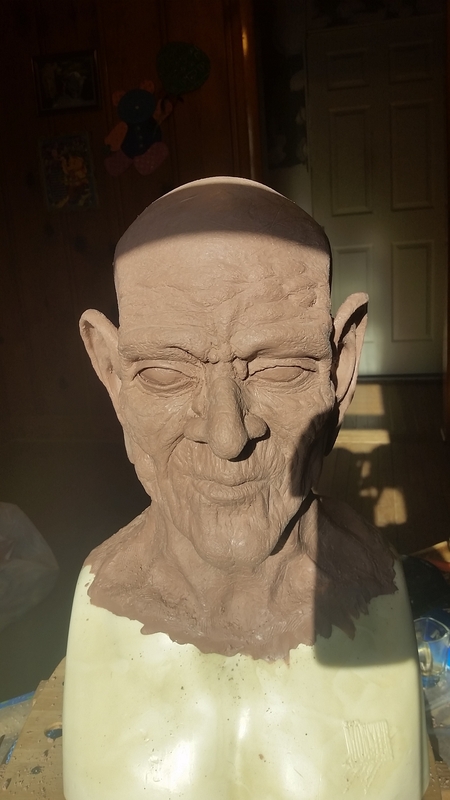 That critique is that stuff which ive learned an find out by myself, from watching classes and critizice my own sculptures a lot and by critique from friends, hihi. 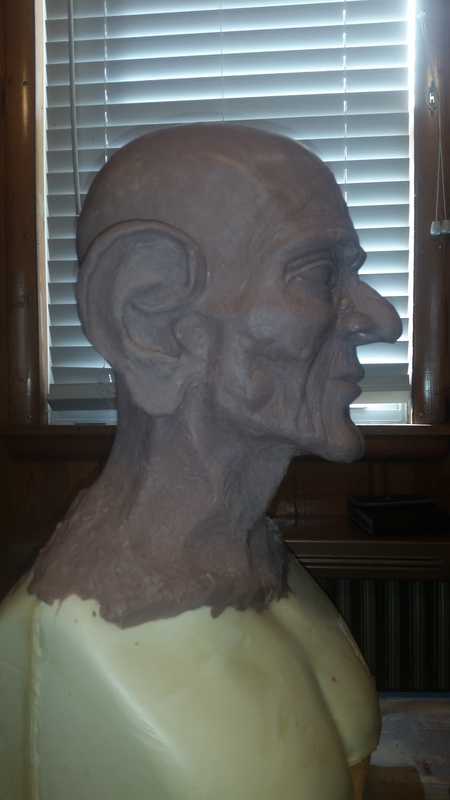 And: The class from Jordu Shell (Human head anatomy & sculpture) is really really amazing. 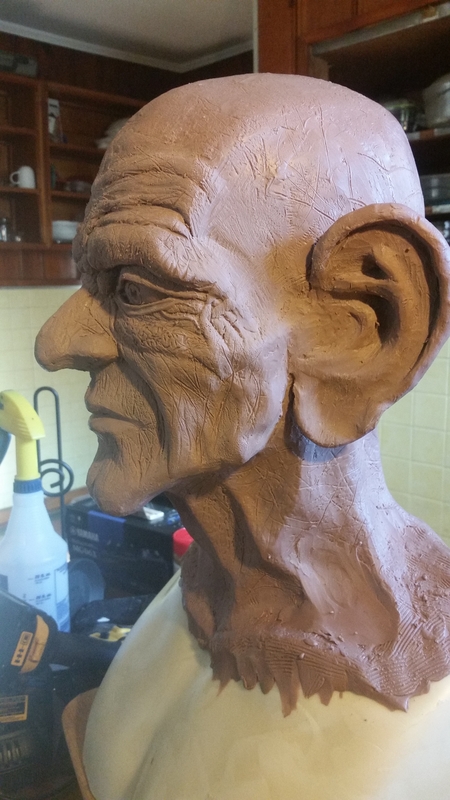 It has opened my eyes and i am lerning every day in every minute, when i am sculpting. Smh I'd rather people be brutally honest for the most part that way I know what to work on. 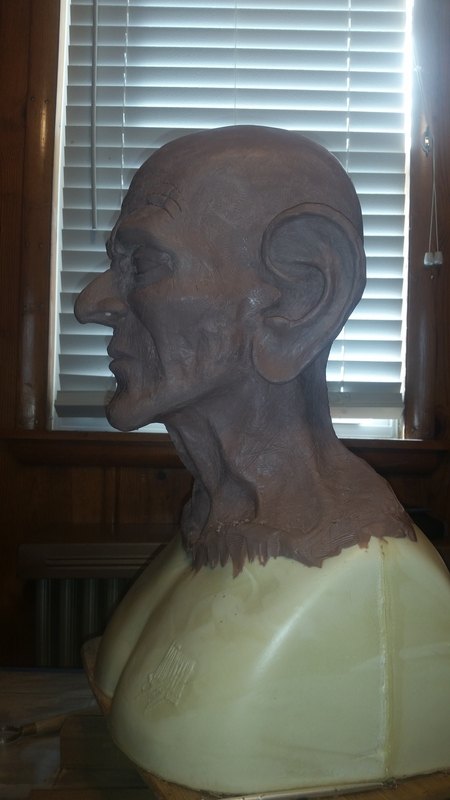 But I hardly had references besides all the classes I've watched to deal with sculpting. 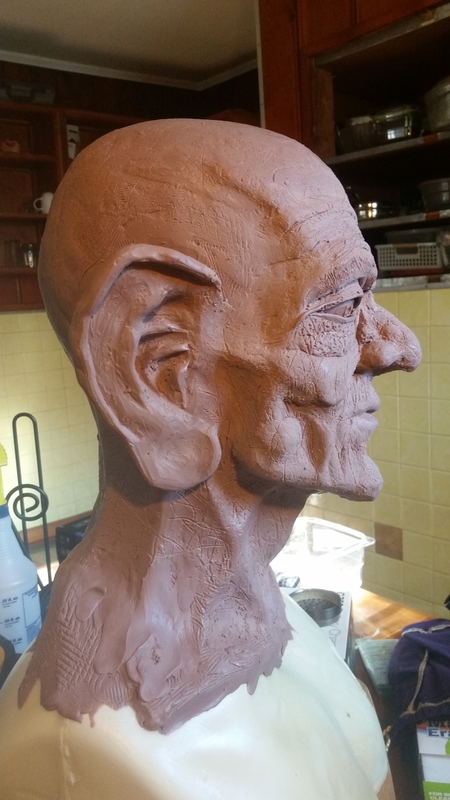 So watching the guy's work and explain helped a great deal. I feel it would help if you were to tell us how you were injured and in what capacity you are disabled. Brain injury can run from mental acuity, or lost of fine motor skills, to more. Knowing that it would be easier to suggest area's of improvement. I think I'm getting better just need more help. I didn't go off of any references just watched classes and free handed it i guess. I took things I liked from each. Kai helped alot with he's outside view. I'd like alot more people to comment it only helps me become better and more aware. I'd like more bad news then good lol. Bad keeps me more interested in becoming better at my flaws. 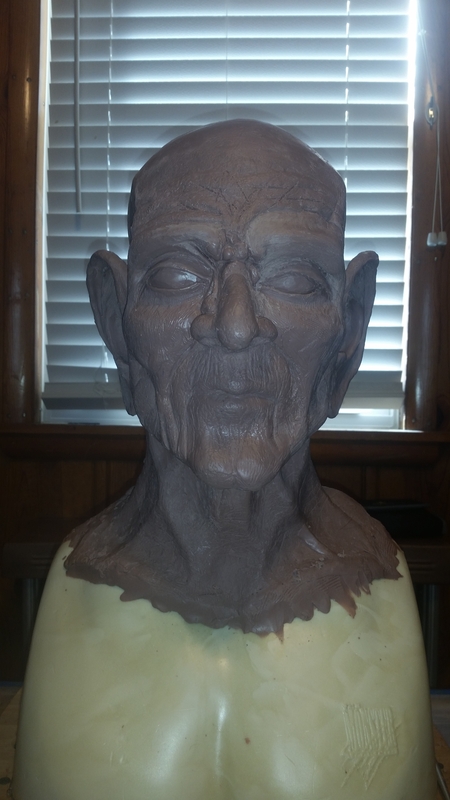 I like your sculpt James! 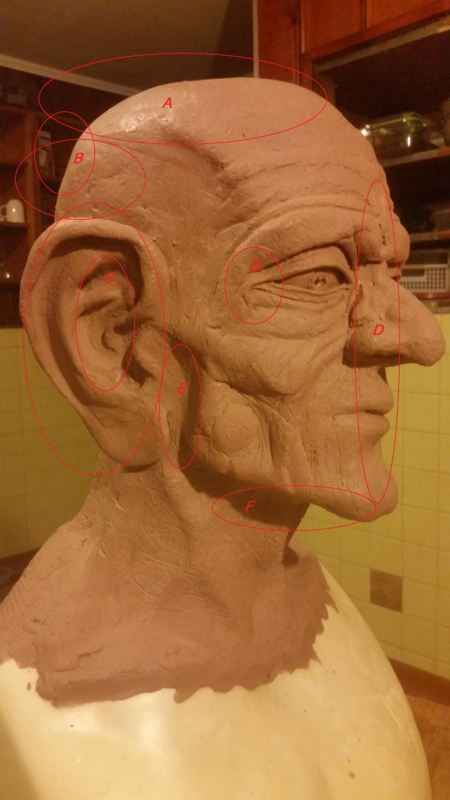 I'm looking forward to more progress photos I use a mirror to observe the anatomical expressions, it helps allot! ( old trick from the Disney animators ) Keep up the good work!